Hey, you! Yes, you there. Have you ever wondered what it would be like to do battle with Nintendo's mightiest heroes? Well, if you've been living under a Dwayne Johnson you might be surprised to find that customized Miis have been introduced to the Smash Bros roster. 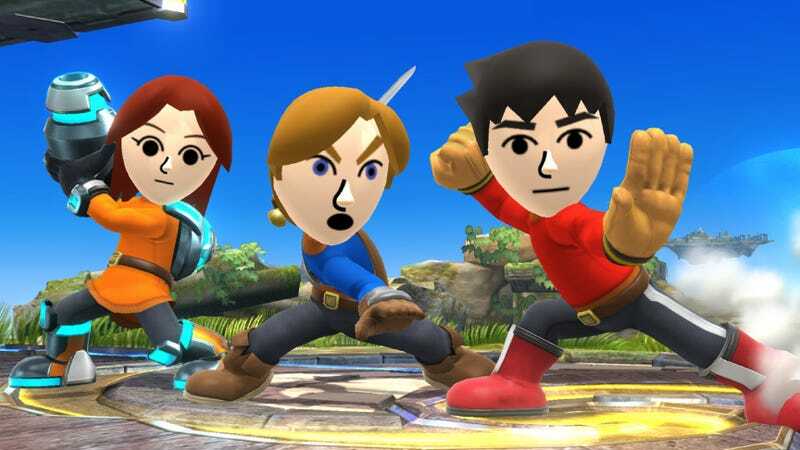 Nintendo has graciously included not one, not two, but three types of Mii fighters in the upcoming title for the 3DS. Players can choose from "gunner, sword fighter or brawler" and customize their Mii with unlockable outfits and move-sets. It's all pretty simple to understand and offers a plethora of final outcomes that will leave you fiddling with your character for hours! I was lucky enough to get my hands on the final build of Super Smash Bros for 3DS at PAX Prime and got some great footage of the Mii customization. Check it out below! Super Smash Bros for 3DS will hit North American store shelves on October 3rd, and has launched today in Japan. The game will feature over 40 Nintendo characters and as many Miis as your imagination can fathom.